A close bond, both on and off the field, has helped Penn State's players withstand all the controversy that has surrounded the program over the past 11 months. 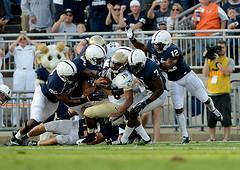 Photo by Dave Cole, OnwardState.com. Forty-six weeks – a total of 322 days – separated Joe Paterno's last victory at Penn State and Bill O’Brien's first. In between, Paterno’s 409th victory was vacated. O’Brien’s program was almost vanquished. And, well … you know the rest of the story. So, what was the toughest part of it all? Losing. To Ohio. To Virginia. After leading in both games. “The low point would be losing the last two games,” said junior guard Eric Shrive. “They were heartbreaking for us. To enjoy the zenith is to also remember the nadir. For members of the team, the low point came at different times. And for one player, not at all. For seniors Mike Farrell and Jordan Hill, there was a time after the NCAA sanctions hit when their confidence wavered. For Farrell it was only for a short while; for Hill, the impact lasted longer. Added Hill: “Those two weeks after we found out about the sanctions were the toughest. That was the first time since everything happened that impacted us as players directly – where we had to make decisions. Stan Hixon, the team’s receivers coach and assistant head coach, came to Penn State in January after spending the previous eight seasons coaching with Buffalo and Washington in the NFL. The players think so, too. Much more than conventional wisdom might dictate. Of course, there’s been little conventional about the past year. Outside the locker room, anyway. Every time a player leaves the squad, it’s national news, with the departure inevitably appearing on the crawl running across the screen on ESPN. But to hear Hill tell it, at this point it is no big deal. Farrell waves off any thinking that the Lions needed to win – and must continue to do so – so that their hard work, commitment and buy-in of O’Brien are validated. “I understand that from an outside perspective, you could say winning is needed to validate those things,” Farrell said. “But we believe in the staff here, the coaches, offensive scheme, the defense – all those things you have to buy into as players. PennDOT continues construction on Route 3018 (Whitehall Road/University Drive) from Route 26 to Atherton Street in an effort to improve safety and ease traffic congestion. 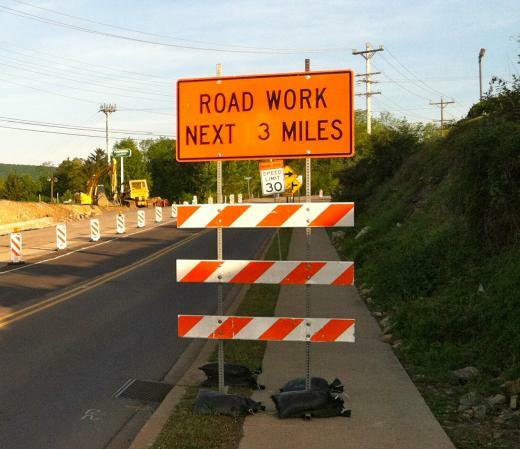 PennDOT reminds motorists its job is a separate and different project than Ferguson Township's Whitehall Road project.